A.N. Original Jewelry: New Designs...Just In Time!! For the holidays of course :) I love these little quirky token necklaces. Petite. Feminine. Whimsical. 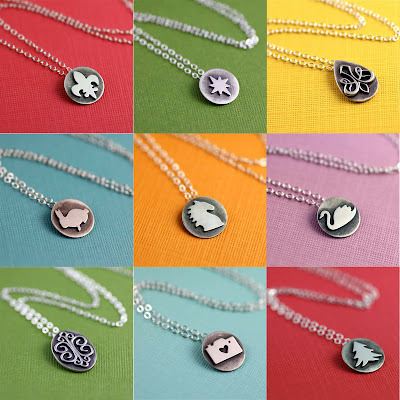 Everything you could want in an everyday necklace :) What's not to love? Go check em out, and all the other new stuff I'v added to the Etsy Shop! I think I've added roughly 20+ new designs to the store. Yay for productivity!